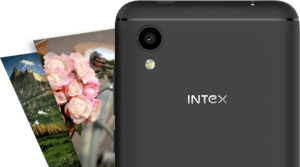 Intex is gearing up to stand firm in low price smartphone market these days. The company has announced its extension to its Aqua series with the launch of Aqua 4G Mini. The name its self-suggest that the Intex Aqua 4G Mini is 4G enabled and is priced at Rs 4199. Recently Intex has unveiled a series of smartphones which include Aqua Trend Lite, Aqua Strong 5.1 Plus, Aqua Lions 4G. 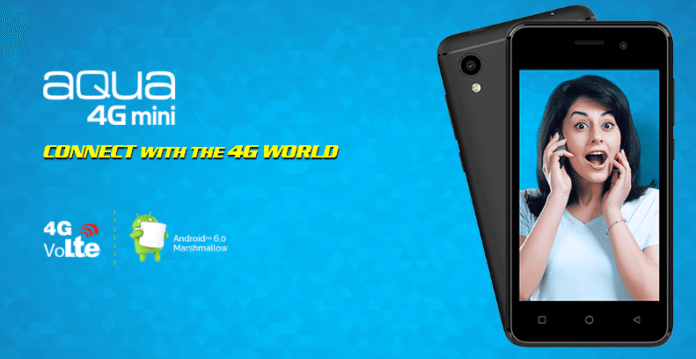 Aqua 4G Mini will be rolled out across all retail outlets in India. Intex Aqua 4G Mini features a 4.0-inch display with a resolution of 480 x 800 pixels at a density of 233 PPI. The smartphone is powered by 1.3GHz Quad core Spreadtrum SC9832A paired with Mali 400 GPU. It boasts 512 MB of RAM and 4GB internal storage which can be expanded up to 64GB. Aqua 4G Mini runs Android 6.0 Marshmallow and has Dual SIM support. On camera department, Aqua 4G Mini gets the 5MP sensor on the rear with LED flash. On the front, VG camera is assigned for clicking selfies. The smartphone gets all the basic connectivity like 4GVoLTE, Bluetooth, WLAN, USB 2.0, 3.5mm audio jack. The compact smartphone measures 124.8×64.4x11mm in dimensions and weigh 119 grams. A Li-Ion 1450 mAh battery powers the device which provides 250 hours standby talk time up to 6 hours. 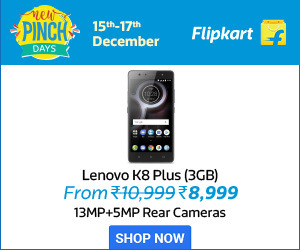 Micromax Spark Vdeo smartphone will be the nearest competitor in the price range. However, Spark Vdeo pack features better specs in each section.